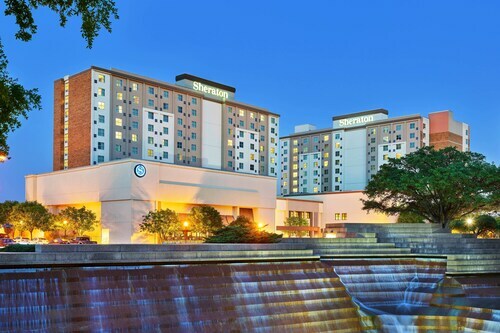 Located in Downtown Fort Worth, this luxury hotel is within a 15-minute walk of Fort Worth Water Gardens and Bass Performance Hall. Fort Worth T&P Station is only a 5-minute walk and Fort Worth Intermodal Transportation Center is 8 minutes. 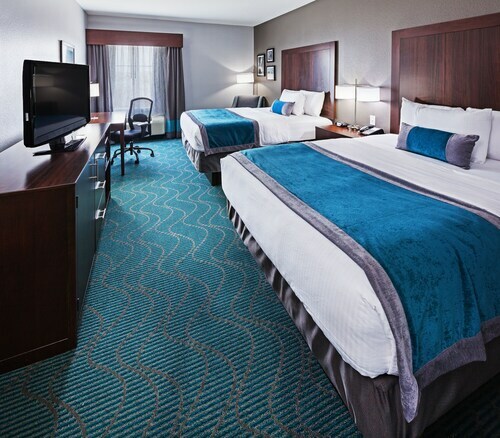 Situated in Fort Worth, this hotel is within 6 mi (10 km) of Golf Club Fossil Creek, Billy Bob's Texas, and Sundance Square. Fort Worth Convention Center and Stockyards Station are also within 6 mi (10 km). Located in Fossil Creek, this hotel is 1.3 mi (2.1 km) from Golf Club Fossil Creek and within 6 mi (10 km) of Iron Horse Golf Course and Fort Worth Stockyards Historic District. Sundance Square and Billy Bob's Texas are also within 9 mi (15 km). 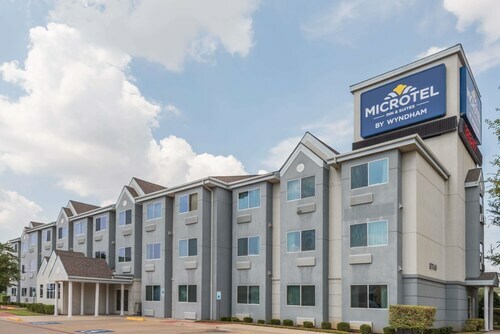 Located in the heart of Fort Worth, this hotel is 1.5 mi (2.4 km) from Ridgmar Mall and within 6 mi (10 km) of Fort Worth Botanic Garden and Chapelcreek Fellowship. Texas Civil War Museum and Benbrook Stables are also within 6 mi (10 km). 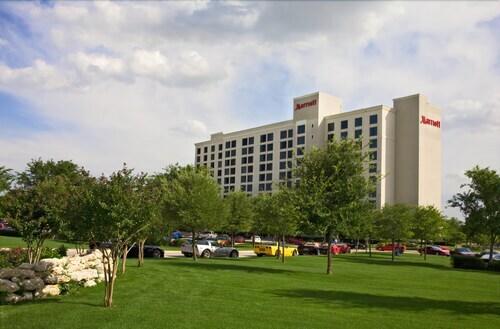 Located in the heart of Fort Worth, this hotel is 0.9 mi (1.5 km) from Ridgmar Mall and within 6 mi (10 km) of Fort Worth Botanic Garden and Hulen Mall. Modern Art Museum of Fort Worth and Kimbell Art Museum are also within 6 mi (10 km). 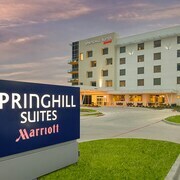 Located in the heart of Fort Worth, this hotel is 0.4 mi (0.6 km) from Ridgmar Mall and within 6 mi (10 km) of Fort Worth Botanic Garden and Modern Art Museum of Fort Worth. Kimbell Art Museum and Fort Worth Zoo are also within 6 mi (10 km). 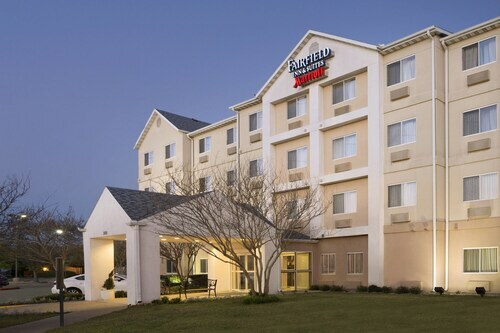 Located in the heart of Fort Worth, this hotel is 1 mi (1.7 km) from North East Mall and within 3 mi (5 km) of Hurst Conference Center and Mountasia. NRH2O Family Water Park is 2.7 mi (4.3 km) away. 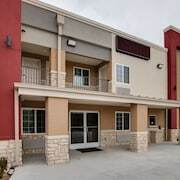 Situated in the entertainment district, this hotel is 0.5 mi (0.8 km) from Hulen Mall and within 6 mi (10 km) of The Shops at Clearfork and Texas Christian University. Fort Worth Botanic Garden and Will Rogers Memorial Center are also within 9 mi (15 km). 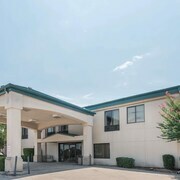 Situated in the historical district, this hotel is within 16 mi (25 km) of Southwestern Baptist Theological Seminary, Fort Worth Convention Center, and Medical Center of Fort Worth. Hulen Mall and Texas Christian University are also within 16 mi (25 km). 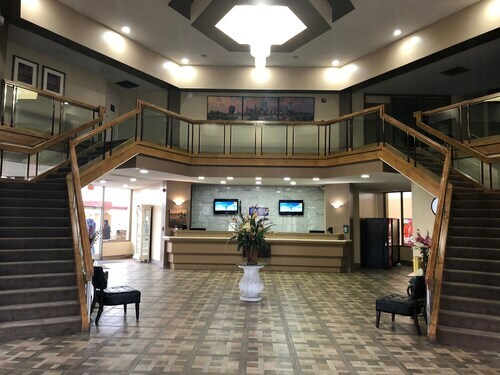 This hotel is in Fort Worth, within easy reach of the Fort Worth Convention Center, the Sundance Square, the Bass Performance Hall, the Fort Worth Zoo, the Kimball and the Stockyards. St. Patrick Cathedral is one-half mile away. Guests can enjoy racing at Texas Motor Speedway and 18-hole onsite golf at Champions Circle. The Hawaiian Falls Waterpark is located in nearby Roanoke. Situated in Fort Worth, this hotel is within 3 mi (5 km) of Fort Worth Water Gardens, Fort Worth Convention Center, and Sundance Square. Medical Center of Fort Worth and Bass Performance Hall are also within 3 mi (5 km). Are you looking for a break from the hustle and bustle of your day-to-day life? Do you want to escape reality and forget about your never ending to-do list? Then why not treat yourself to a relaxing stay at one of the spa hotels in Fort Worth? Whether it is for a weekend getaway or a staycation, book your visit to one of the Fort Worth luxury spa hotels. With all of the amazing things to do around Fort Worth, you will likely be worn out from sightseeing. 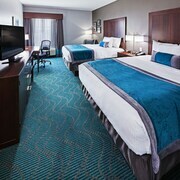 The Fort Worth spa hotels provide top of the line facilities with hot-tubs, saunas and private treatment rooms. Treat yourself to an indulgent hot stone massage or facial to rejuvenate from a busy day. If that's not enough for you, indulge in a full day-at-the-spa package. And maybe you are just looking to reach maximum relaxation before a fancy night out on the town. Take advantage of the salon features offered at most Fort Worth spa hotels and get a mani-pedi before your evening begins. Travelocity wants to help you relax and rejuvenate during your next stay in Fort Worth, but we know that spa treatments can put some strain on your wallet. Bundle your hotel and flight together and save enough to pay for your facial! The check in process was fast and easy. The bar inside the hotel had great menu options. Very friendly staff. 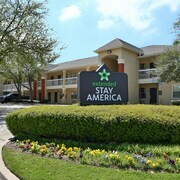 Location is easy to get to and centrally located between Arlington and Fort Worth. The building has a strong odor of natural gas which was a little unsettling. We also didn’t have any hot water for showers. Front desk failed to tell us at check in that the hot water heater was being worked on. Sorry, nice place and looked clean but there was roaches in my room! 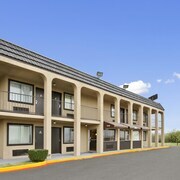 Friendly check-in, good solid room close to freeway.